“Hard to Love” is the closing song off Calvin Harris’ well-rounded Funk Wav Bounces, Vol. 1 LP. After putting out two videos for “Feels” with Pharrell, Katy Perry & Big Sean, the Scottish DJ/producer and Jessie Reyez head to Europe in their new visual. Reyez, the rising star hailing out of Toronto, wanders around the city of Paris at night. 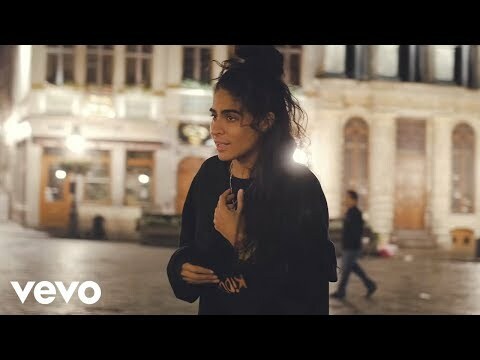 From walking down the quiet cobble-stoned Parisian streets to enjoying the Eiffel Tower light show, watch as Jessie Reyez soaks up the “City of Love” in the VEVO premiere below. Featuring appearances by Frank Ocean, Nicki Minaj, Katy Perry, Migos, Future, Snoop Dogg, Big Sean, PARTYNEXTDOOR, Travi$ Scott and more, Funk Wav Bounces, Vol. 1 is out now on iTunes.